Let’s be real: The end of the year is NOT the right moment to work on a webcomics. 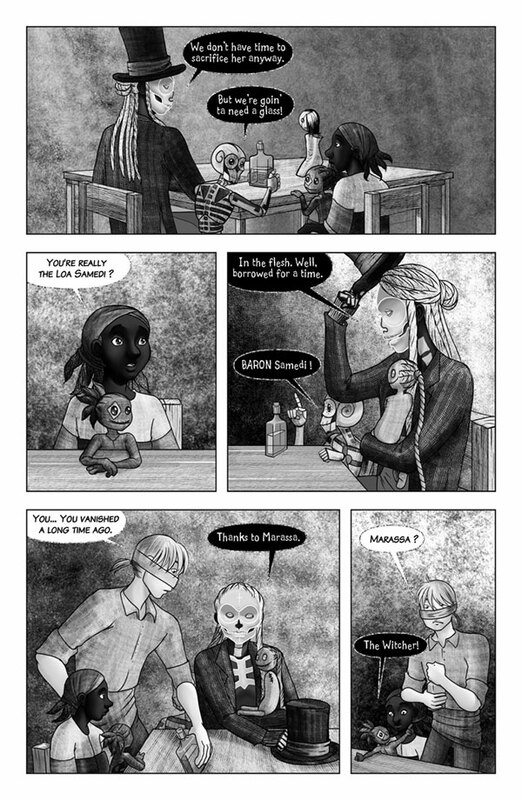 So, this is the last page of 2016 ( except when the final version will come up, I’ll work on it at work during my lunch break, this will freak out my colleagues), Here Be Voodoo will come back on January the 9th. There will be the traditional Christmas picture of Sunday in an ugly Christmas Sweater around Christmas time, but till then, I wish you goods ends of the year festivities and good food!